Barefoot Angie Bee: Sony W Series Walkman MP3 Player review and GIVEAWAY! 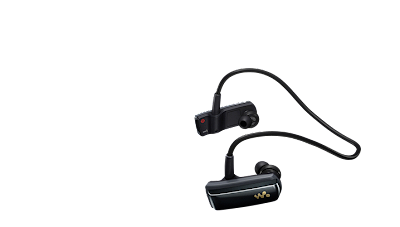 Sony W Series Walkman MP3 Player review and GIVEAWAY! Typically I don't run with music. It had been years and years since I had. I like to think and listen to the sounds around me. I was given the opportunity to try out the Sony Walkman MP3 player and was excited but equally dubious until I tried it out. I still love to run without music but it was REALLY FUN to hear my favorite songs come on! I was able to relax and just focus on the music and all other cares floated away. The opportune evening to try them out presented itself when the hubby was doing a nuun demo and I wanted to get some miles in. I set out, believe it or not, in shoes since I knew there was a fair bit of glass on my route and I would be coming back after dark. This allowed me to run with barefoot form but also to get lost in the music. Off I went with Mumford and Sons sending me on my way. Beck to keep me going and Florence and the Machine to cheer me on. Incredibly cathartic and yes I did sing out loud! Often when trying something new there are preconceived notions that creep in. I thought the Walkman would jiggle and want to come off or if it did stay put it would be uncomfortable. Neither were the case. They stayed put and were comfortable with easily accessible controls. It was also easy to load up songs. All loading was done through Windows Media Player and dragging and dropping from my desktop. Easy peasy. The Walkman charges up quickly through USB and give you a 90 minute charge just after 2 minutes if you are in a rush. There is plenty of room for your music with 2GB storage and another feature is that its sweat proof! Want to win a pair?? Sony sent me two additional players to give away!! Here are the rules to the giveaway and as always post a separate comment for each thing that you do. Each comment will count as an entry. The winner will be chosen using Random.org a week from today on the 16th and I will announce the winner the day after. Whats your favorite running song? Blog, facebook, tweet, whatever but post a comment for each that you do. Let me tell you how much I HATE the cords when I run! I use music because I'm alone when I run all the time. BUT when BF I don't use music :) I love the song Stronger.. I love to run with music, it gives me that little extra bounce in my step to get going some mornings. Right now I'm lovig Jennifer Lopez ON THE FLOOR along with Jason Aldean,Blake Shelton. Cheesy, but I love "I Can Go The Distance" from Hercules. It's such an amazing pick me up! i don't run with music. ok, i don't USUALLY run w/ music but i did last winter when i was in an indoor track and my fav song to run to was "Hanging On" by britt nicole. like ya on fb and said hello! I don't run with music, but only because my mp3 player thingy died. I am happy either way, with or without music. My favorite song to run to is Pain ~ Three Days Grace. I like you on FB and I said hello! Teehee. I mostly run with music while road running (to work, etc), not so much on trails. On the road it helps me get into a good groove. I have never had a music player I could run with. Yes I run with music. It is a necessity. Bad Love - Eric Clapton. Follower. Sometimes listen to music and when I do, anything reggae or classic rock gets me going. Yeah, I love to run with music and podcasts. It helps me take a mental vacation and I really look forward to it! Yep, I love to run with music and do so on most runs...except some races and the days I run with one of my dogs! I've been enjoying Nicki Minaj - Super Bass lately. One of my favorite songs is "Work" by Ciara. I don't listen to music much. I am a podcast addict! I listen to music for speed work, but have started leaving it behind on easy runs. Besides having to hear what Spud is saying in the stroller it's nice to just listen to nature. I like Supersonic by Pearl Jam, although any of their stuff is great. I run with music - just started this April during long runs. I really do prefer to listen to my rhythm and focus on my form, but after 2 hours, there is something great about being able to tune into something else. Favorite running song: right now, it's "I Don't Like Mondays" by the Boomtown Rats. It kicked in at 30K in May and got me pumped for the last 12K. I almost NEVER run with music, but when I'm really tired or down and need a legal shot of steroids, I'll break out the ipod. Bruce Springsteen, The Gaslight Anthem, the White Stripes, the Thermals, the Hold Steady: basically rock n' roll to keep my feet moving when my mind isn't up to the job. But if I had to pick a song: "Boxer" by the Gaslight Anthem. I do 25% of my outdoor runs with music. It is creeping up, I used to do very few runs with tunes. I love Devil Went Down to Georgia, it always gets me going. I follow on FB and I said hi! i run with music when i need motivation - in the later stages of a long run or during the second half of an ultra. florence and the machine, the killers, james brown, michael jackson - those are some favs! Yes I run with music - how can anyone not? I am a follower of your blog Angie! Music gives you THAT extra energy so you can run a bit further, run a bit faster. So yes, absolutely! Being a music fan and someone who loves to run marrying the two was inevitable. As one of the few guys who has posted here, I feel pressured to give a matcho response for the choice of running music.......so here it is: Adele's Rolling in the Deep. Please be kind! Hi Angie, I just became a follower! At the moment I am having a hard time getting Katy Perry's Fireworks out of my head! Help!? Yes I run with music. I don't really have any favorite song, since I run to just beat so I really enjoy the free mixes from www.motiontraxx.com they are already set to the right bpm. Used to avoid music, but I don't think I've run once without it for the last two years. Favorite song? Depends on the day, but probably Fugees, The Score. I like running to ET by Katy Perry. I posted the giveaway on Facebook. i run with music, but didn't know this existed! this would make it sooooo much better!! !